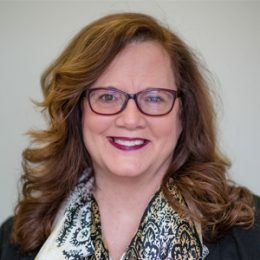 Since 2011, Jeananne “Nan” Nicholls, DBA, MBA, has been a faculty member at Slippery Rock University’s (SRU’s) School of Business after spending 20+ years in senior positions in technology-based economic development in OH, WV, and PA—managing $40+million worth of research grants and projects. She has degrees from Kennesaw State University (DBA), Duquesne University (MBA), and Carlow University (BS). Her research interests include student clubs/organizations membership, BRT, marketing/education, service-learning, ethics, CSR, sustainability, and healthcare. Dr. Nicholls has been the adviser for SRU’s AMA chapter since 2012, has increased AMA club membership by 200%, and annually supports club participation in regional, national, and international marketing competitions. In 2017, SRU’s AMA team won five awards at the AMA International Collegiate Conference. She teaches marketing and management courses at the graduate and undergraduate levels. She received SRU’s 2015 President’s Award for Academic Advising and was named the 2016 Pittsburgh AMA Distinguished Educator of the year.